This will be the last post for the week, as we will all be busy with family activities (and taxes). We should be back on Monday with some new content, and it looks like next week will cover some really interesting areas, including the recent Godfrey case, and sealing Tax Court records. We have been very lucky over the last month to have a lot of really great guest posts. We cannot thank those guest posters enough for the quality content, especially as the three of us have been very busy with our various other jobs (or appearing before the Senate–perhaps more on that next week also). For the weeks that SumOp is covering in this post, we had Mandi Matlock writing on TPA Most Serious Problem # 17 on how deficient refund disallowance notices are harming taxpayers. Peter Lowy wrote on the really interesting Gyorgy case, which deals with the taxpayer’s requirement to notify the Service on a change of address, but also highlights a host of other procedure items. Patrick Smith joined us again, writing on Perez v. Mortgage Bankers Associate, and illuminating us on APA notice and comment requirements for different types of rules and the possible eventual reversal of Auer. We also welcomed Intuit’s CTO, David Williams who wrote a response to Les’ prior post on H&R Block’s CEO indicating it should be harder to self-prepare (which Les was potentially in favor of). And, another first time guest blogger, Patrick Thomas, joined us writing on the calculation of SoLs on collections matters. We were also very lucky again to have Carl Smith writing for us, this time updating us on the Volpicelli jurisdiction case and the Tax Court pleading rules on penalties looking at the El v. Comm’r case. A thank you to all of our guests over those two weeks, and a special thanks to Carl for his continued support. The Service released CCA 201510043, in which Chief Counsel stated a taxpayer is entitled to two sets of collection due process rights for the same period when there were two assessments; one for assessment arising out of a civil exam and the other from restitution-based assessment. Section 6201(a) was recently (five years ago) amended to require assessment and collection of restitution in the same manner as tax. The advice has a nice summary of cases outlining why this double assessment of the same tax is not double jeopardy. Although the general rule is that a taxpayer is entitled to one CDP hearing with respect to tax and tax years covered by the CDP notice, there are situations where multiple hearings are appropriate. The advice highlights Treas. Reg. 301.6320-1(d)(2) Q&A D1 and Treas. Reg. 301.6330-1(d)(2) Q&A D1 as examples of allowing two CDP hearings when there has been additional assessments of tax or new assessments for additional penalties. The Advice determined that this situation was analogous and warrants two separate CDP hearings. The Northern District of California in In Re Wilson held that penalties for failure to timely file were dischargeable when the original due date was outside of the three year look back under BR Code 523(a)(7)(b), but the taxpayer had extended the due date and the extended date was within the three years. The Court indicated this was a case of first impression. Another interesting BR Code Section 523 issue. This clearly only pertains as a practitioner point, and not something any of our readers would personally need, but OPR has announced a standard information request letter to make a Section 6103 request for information maintained by OPR relating to possible violations of Circ. 230. Info about the letter is found here, and you can get the actual letter here. The Ninth Cir. affirmed the Tax Court in Deihl v. United States in finding a widow spouse did not qualify for innocent spouse relief. In the case the Court did not find there was clear error by the Tax Court in reviewing the widow’s testimony and find it was not credible. The surviving spouse provided testimony that conflicted with other evidence regarding the couples’ business, and she did not offer any third party testimony regarding the abuse. The widow argued that since the Service did not offer contrary testimony regarding the abuse, the Tax Court had to accept her testimony, which the Ninth Circuit stated was incorrect. Further, looking to Lerch v. Comm’r, a Seventh Circuit decision, stated that the Tax Court did not have to accept testimony that was questionable, even if uncontradicted (tough to overcome the presumption of guilt that comes along with a name like Lerch). The Notice then goes on to explain how to calculate gains and losses during the session. 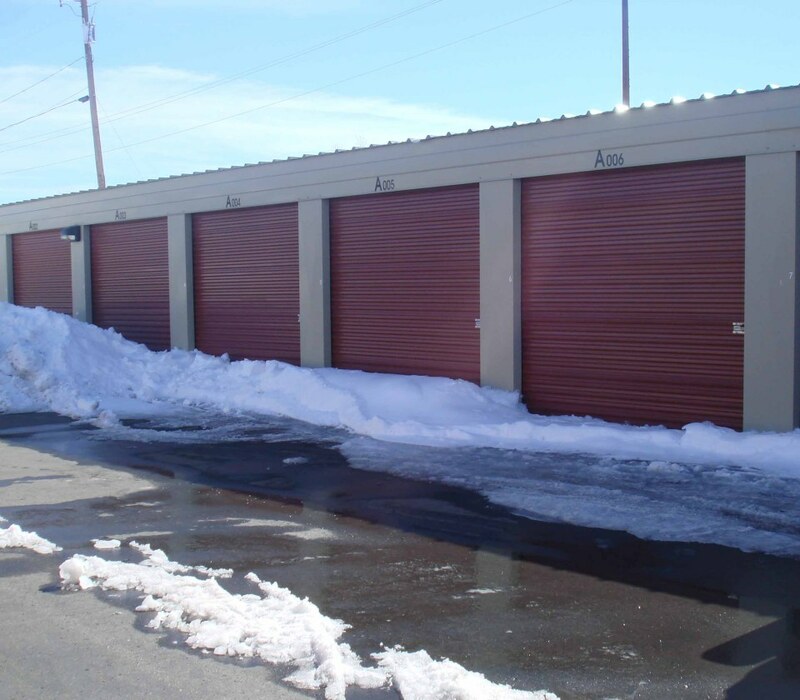 Add this to the list of things that will not get you out of the failure to timely file penalties – taxpayer could not access tax records because his storage unite doors had frozen over. The argument received an icy reception (oh, man that was bad) with both the Service and the Tax Court. See Palmer v. Comm’r., TC Memo 2015-30 (for some reason this isn’t up on the TC web page anymore – sorry). If you are going to cheat on your taxes, you probably should do so using offshore accounts (I usually charge clients a .5 for that advice, and you all just got it for free!). Check out Jack Townsend’s blog on US v. Jones, an “ordinary tax cheat”, as Mr. Townsend put it, who got dinged with 80% of the bottom of the guideline range for sentencing. He was using “sophisticated means”, which seemed fairly run of the mill. Jack compares this to the sentencing of another UBS client, who ended up getting 22% of the bottom of the guideline range. Switzerland should use this in its promotional materials. Except as otherwise provided in this section, any person in possession of (or obligated with respect to) property or rights to property subject to levy upon which a levy has been made shall, upon demand of the Secretary, surrender such property or rights (or discharge such obligation) to the Secretary, except such part of the property or rights as is, at the time of such demand, subject to an attachment or execution under any judicial process. Frank’s position was that his claim was the type of claim referenced by the “subject to an attachment or execution under any judicial process.” The Court, however, held that the language did not direct which claim (that of the IRS or Frank) had priority, and only stated that the financial institution did not have to turn the funds over to the IRS. The Court then looked to the other lien provisions, and found the IRS had priority and directed payment. I went to see roller derby one time, which was really entertaining. A perfect mix of roller skating and WWF. All of the young women have funny/clever names, and often have slogans. The announcer said of one that she had “champagne for her real friends, and real pain for her sham friends.” Unfortunately, this has really nothing to do with this next case, except the tax court was dropping some real pain on a sham partnership. In Bedrosian v. Comm’r, the Tax Court held that whether legal fees paid by a sham partnership were deductible was an affected item subject to TEFRA, and the Court had jurisdiction to make such a determination. This was not the Bedrosians’ first Tax Court rodeo, and they keep making new TEFRA law, which now comprises a substantial chunk of revised Saltzman and Book Chapter 8 dealing with general exam procedures and a growing subsection dealing just with the complex world of TEFRA. Gambling – Session Method – This is usually a problem because the IRS computer looks for the gross W-2 G amount on page one. Looks like the appeals officers are finally OK with sessions. We just got a “no change” when we presented the tax court’s IRS agent with a spreadsheet we have put together that is an easy to maintain daily summary. Taxpayer uses the columns for “Winning Day Profit” “Loss Day Loss” and W-2 G’s Received. The spreadsheet then calculates everything you need to net out same session losses and W-2G’s. The W-2G’s per worksheet equaled the one line per year casino report of gains and losses and we were home free. Why do it? For this client, since 2009 we saved Illinois tax (based on AGI, no itemized) of $5,000 and Federal Tax (due to reduced AGI) of $1,000. Audit could probably have been avoided by inputting each individual W-2G when you efile, and putting a net reduction on Misc Income input. A paper return was filed for the year in question so the computers could not read the W-2G gross reported and they ignored the supporting schedule. Meanwhile, several Las Vegas casinos (well known not to have any clocks in sight) announced Wednesday that they will ring a bell at midnight to remind slot players to close out their log books (every gambler keeps a log book for tax purposes, right?) for that day’s session, and start a new one. IRS rules on when a gambling session begins and ends are enough to drive me to drink. I never drink before 5pm, but it’s always 5pm somewhere in the world. Has anyone from IRS ever visited a crowded casino at midnight? Is there some reason that 4am would not be acceptable instead? How are players who use player cards and store their winnings on the cards supposed to establish “sessions”? Are they supposed to cash our their player cards each day? What about players who use player cards? Don’t many player cards allow you to store your winnings in your player account? How are those players supposed to establish “sessions”? Are they supposed to cash our their player cards each day?